If you are looking for a high impact, highly skilled performance to lift the room, then look no further. 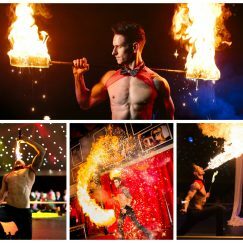 Fire Flare is an up tempo indoor suitable fire show packed full of effects and character guaranteed to turn up the heat. 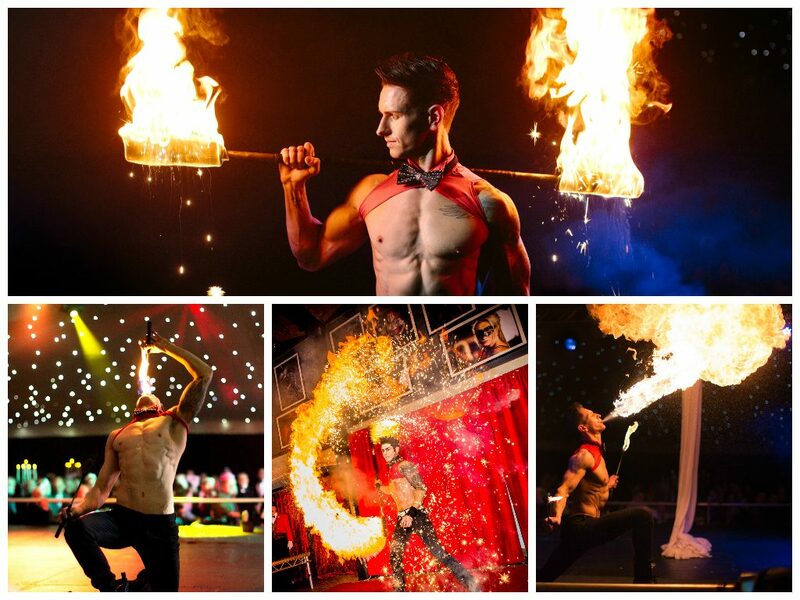 Mikey is an industry expert in fire fuels and effects and is one of only a handful of UK performers performing with low odour fuels and extremely low smoke fuels making this show perfect for indoor stages and dance floors. No residue will be left behind and Mikey can clear his equipment within 1 minutes, leaving the performance area ready for guests to hit the dance floor or for the next act to perform risk free. 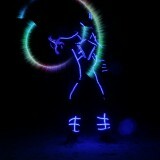 A pyrotechnic finale can be added to this show. Costuming can be more covered on request. An outdoor suitable fire show is available, or if you require a longer ambient/meet and greet style performance, this is also possible. Please enquire to find out more.